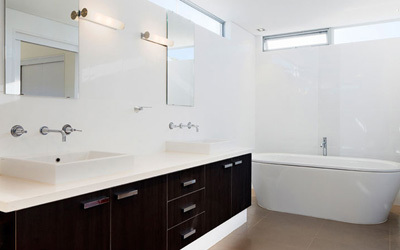 We are adept at building beautiful bathrooms to meet your particular needs. From breathtaking master ensuite retreats to practical and stylish main floor powder rooms, we provide numerous brand name fixtures & exquisite finishes to create bathrooms you will love. Contact us today for a no-obligation discussion and free quote. We are specialists at building elegant bathrooms for every budget. From elegant master ensuites to functional basement washrooms, we have countless fixtures and finishes to choose from. 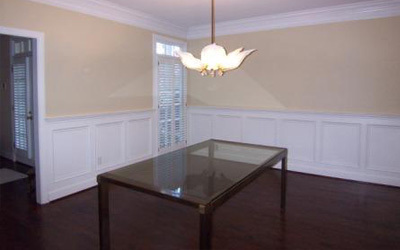 Professional installation of all trim carpentry materials and substrates including Wainscoting, Crown Moulding, Baseboard, Chair Rail, Casing and more. Whether you want to generate an income suite, create space for maximum utility & storage, or simply have a great space for entertaining and watching movies, our expertise in designing functional basements and optimizing layouts will ensure your complete satisfaction. Thank you for visiting Trillium Construction. 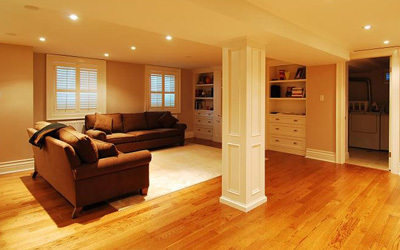 We have 15 Years experience renovating custom homes in some of Toronto's most prestigious neighbouhoods. Ask our lifelong clients about our professional service and quality workmanship. We'd be happy to provide a free, no-obligation consultation and quote. Please feel free to contact us today. We're proud of what we do, and you will be too! Give us a call and let's discuss your project today.